Therefore it has been requested by the Light forces that as many people as possible support the people in Europe with our meditation. This is time-sensitive and needs to go viral! We need to reach masses of people, so that the critical mass of people actually doing it is attained. It is time for us to unite in purpose so that Light will be victorious. Please post this on your websites and blogs. If you know an alternative media outlet, you can send it to them. You can share it with your iphone. You can create a Facebook group for your local group of people doing this in your part of the world. You can create a video about this and post it on Youtube. We will be doing this meditation on Sunday, September 20th at 7:00 pm Central European Summer Time (CEST). This equals 7:00 pm EET in Cairo, 6:00 pm BST in London, 1:00 pm EDT in New York, 12:00 pm (noon) CDT in Chicago, 11:00 am MDT in Denver and 10:00 am PDT in Los Angeles. 4. 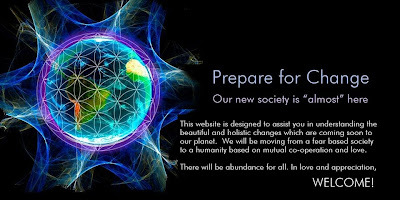 Visualize the now collective beam of Light expanding into the Earth energy grid and reaching Europe, connecting with Soul Star chakras of everyone involved in the situation in there, harmonizing them and inspiring them to find a peaceful solution. Visualize all refugees receiving food, water, shelter, medical assistance and humane treatment. Visualize all refugees and policemen that might turn violent calming down and choosing peaceful solutions. Visualize all members of the dark forces who are trying to infiltrate into Europe posing as refugees, to be recognized as such and detained by law enforcement. Visualize Europe keeping peace and stability that she has achieved in the last 70 years. It is very important for people involved in situation in Europe to be aware that we will be supporting them with this meditation so that the energy of Light we send will be received and will be able to heal the situation. Therefore it has been requested by the Light forces that you inform your contacts in Europe that we will be helping them with this meditation, using email, Facebook, Twitter and other means of communication. It has also been requested that people in Europe distribute this information within their networks. American Hacker Edward Snowden is best known for leaking sensitive information that confirmed the existence of global surveillance systems run by European governments together with telecommunication companies. A former employee of the CIA and NSA, Snowden’s leaked files confirming the existence of ECHELON, a spying network that goes far beyond the capabilities of anything previously believed to exist. ECHELON is a global system designed to intercept both private as well as commercial methods of communication. It is essentially a device that watches over everyone. According to reports, this worldwide tracking system has been in operation since as early as 1988. The plans for the device however, were born as early as 1947 and involved the top countries in the world today: Canada, Australia, United States of America, New Zealand, as well as the United Kingdom. How much do we already know about such an intrusive and obviously illegal program? The rumors of the existence of ECHELON have been going around for years but only a few gave the information credence. Through the efforts of investigative journalist Duncan Campbell and Edward Snowden, new evidence regarding this global spy network has finally surfaced. ECHELON was first hinted at in 1987 by Campbell who was so intrigued by his findings that he continued to investigate for the next 27 years. 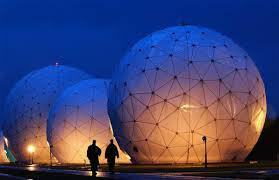 After Snowden’s revelations were revealed to the public, Campbell made sure that his leaked records were checked to see if there was any mention of ECHELON. There was! ECHELON was simply a code name for something bigger: a massive way of monitoring private communications of practically every individual in the planet. The first hint of ECHELON from Campbell started with his 1988 piece titled Somebody’s Listening. The investigative journalist who wrote for The Intercept reveals that the information was leaked to him by one Margaret Newsham. Newsham was previously an employee of Lockheed Martin and had a contract with the NSA. According to Campbell, the main stress of Newsham was that so many “constitutional laws had been broken”. Newsham herself was introduced to ECHELON after listening in on one of the conversations that the massive device managed to gather. Working in one of the bases of ECHELON, Newsham was taken aback after recognizing the voice as those belonging to a prominent United States senator, verifying that the NSA managed to cross the line when it comes to protection as well as privacy. It turns out that ECHELON is actually a sub-program of what is dubbed as FROSTING. FROSTING is basically an umbrella program that contains two other processes: ECHELON and TRANSIET. While ECHELON handles the collection of INTELSAT communications, the TRANSIET takes care of all the satellite targets of the Soviet. The question of how ECHELON actually works is extensively technical, yet do not let this distract you from the importance of how it was set up or what it’s implications on our society will be. Reports reveal that the facilities were actually installed and built in the UK because US laws are very restrictive and would prevent the NSA from actually building anything secretly. Initial receivers were installed in Cornwall, Budge, Yakima, nearby Seattle and in various other strategic locations. By the time the year 1974 rolled in, ECHELON had managed to intercept private messages coming in and out of the Pacific. However, one or two receivers are not enough considering the breadth of ECHELON’s coverage. Other likely locations for the receivers now include: Sugar Grove in West Virginia, Misawa Air Base in Japan, Yakima Training Center in Washington, as well as Pine Gap in Australia. As of the year 2000, the existence of ECHELON was once again brought into question as former spy Mike Frost was interviewed and featured on 60 Minutes. According to Frost, few people realize just how extensive the project happens to be, encompassing even the smallest information and essentially listing down individuals who are possible threats to the community. It is a viable way of protecting the different countries, but it can also be quite problematic in the way information is obtained and interpreted. After the year 2000 airing of 60 Minutes, Europeans were obviously unhappy with the information they heard. The European Parliament attempted to move into action but not much came out of their efforts despite the widespread outrage from the people. Aside from the fact that the ECHELON program was confirmed, nothing else was done by the UK government pursuant or against this. Around 2005, ECHELON was once again reintroduced to the public after Bush’s highly publicized tapping controversy. During the administration of Bush, it was leaked that the US President allowed the tapping of mobile phones without due authority to do so. It was pointed out that ECHELON may well be the device being used to make this tapping possible. After that however, we may have gotten too close to the truth as there have been no more forthcoming reports and the concept of ECHELON was consigned to the past – emerging only in the forums of conspiracy theorists. What Does This Mean for the Common Citizen? “Big Brother is Watching” is sadly not just a quote anymore – it is a reality if the existence of ECHELON holds true. In a world where practically every person is moving towards owning a mobile phone, it has not been hard for the NSA to do some changes to the ECHELON and make sure that the surveillance captures and processes EVERYTHING in planet earth. Now all of our communication can be perfectly tracked and linked together by location. The Five Eyes or the five countries involved essentially have a readily-tapped dossier on every person in the world. This gives the US and the United Kingdom a chance to monitor aliens and illegals as they travel inside and outside the country. Until today, the NSA is denying the existence of ECHELON and attributes its popularity to rumors and speculations fanned by conspiracy theorists. With the Snowden files now confirming its presence however, it would be hard to once again bury this information in the dust. Ultimately, the existence of ECHELON is becoming more and more concrete everyday as additional information becomes available and rises to the surface. With the supposed authorities on the subject keeping silent, it is possible that they are hoping that the news will die out soon and that the investigative journalists will disappear. The breadth of ECHELON however – and its potential to impinge on the privacy of EVERY PERSON ON EARTH, is actually something you have to be concerned about. We will continue to report on this as new information surfaces. With September coming we feel your vibrations rising still, and also Mother Earth is ready to welcome you within her new higher reality. Your Sun seems to be shining more brightly than ever, as you are allowing yourselves to see the energies entering your world and your bodies. Look around you and you will see that the colors are more vibrant than month ago, and this is not due to coming autumn or weather change, it is happening to you, and your vision is being cleared no matter on which part of your world you are living. Enjoy this beautiful colorful sight and know that you are moving towards your desired destiny. This month will be very intense for you, and we already feel the excitement together with you, as with your inner changes comes also the outside changes, almost hand in hand because due to your powerful intention and wish for change, nothing is able to stand in the way. Realize this simple truth and you will see it happening faster than you have ever imagined. You already know that some changes cannot happen overnight, and you always need to trust your inner guidance as only it can show you, what is the best way to act in coming days. 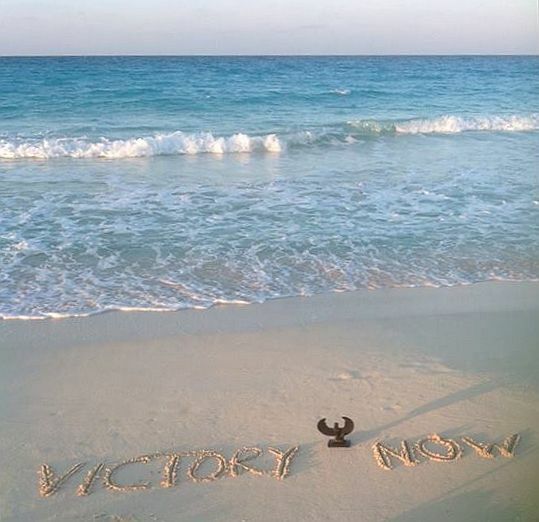 Some of you have already experienced their wishes coming into fulfillment instantly, and we want to assure you that also those big ones are ready to be fulfilled. Keep yourselves in this wonderful higher state of mind and feel your true connections to life and family and let your body and mind be open to ever flowing energies that became part of your daily life. You might still wonder that also when you are not in meditation, you are still able to feel them, stronger each day, please know Dear Ones that you have been able to release all that old which kept your mind thinking, that you are still part of 3D reality and thus unable to be connected to us whenever you wished. But your intentions so very strong have helped you to transform yourselves to the Beings of Light that are ready to step into the next phase of this wonderful and unique process of Ascension with the very body that you are now in. Always think of your body with love, as it is enabling you to feel all these incredible energies and connections that are intensifying each moment. You need to adjust to these higher energies, because in higher realms you will be surrounded only with uplifting and loving energies of such great intensity that you are just beginning to feel and accept right now. You understand now that all the time passed was needed to prepare yourself for this. Keep your focus on Love and Light and all that they represent for you, as we so often remind you of, and you all will feel and see the joy and happiness entering your lives either suddenly or slowly bit by bit, according everyone’s free will and choice and please know that it will stay permanently with you if you wish that so. We also remind you that this was not choice of every Human currently on Earth, as some feel not ready to let Love inside and you should accept their wish with the knowing that when they are prepared, they might call for your help, and know it would not matter where you are, you will hear them. Share your love with all, as you are not fully aware now whom you can help only by smile or few warm loving words. I am SaLuSa from Sirius and we are very happy to see that you are accepting our energies as your own, that is what they truly are, as we are your Family and we clearly see and feel that you really feel this and including us within your reality. We are sending you our love and enjoying these moments as much as you are. I’ve had in the forefront of my mind these last few days a message that has been trying to come through from someone in the 5th dimensional city of Telos, which is… in the Inner Earth of Agartha which is… its own realm wherein 5th dimensional beings live, and is a higher dimensional realm. There has not been a lot of contact with them telepathically with channels, but I have been getting a message that there is someone there who wants to share a message with us. Gender in the higher dimensions is a bit like the angelic realm where there is no gender. This being’s name is Marsana, and she (or he) is an androgynous being – there’s no gender. This being has incorporated and merged the male and female aspects of its soul essence which is in essence a merging of the twin flames aspect. So this being has merged all of its soul aspects so that there is no gender as we know it. The female portion of this being is the predominant aspect that will be communicating with us. So I am now connecting in with Marsana from Telos…. This being Marsana wants us to become aware now of this 5th dimensional world of the inner earth. Some of you have traveled to the city of Telos in your touchings upon the 5th dimension. This is one of the places that you can “go” to… I put this in quotes because travel in the 5th dimension is done by teletransportation. It’s an energetic pathway that is used for transmigrating or teletransporting to various “locales”. So this being Marsana now wants to deliver a message to those of the awareness community of (Outer) Earth who are now in the process of raising their vibration to continue their ascension process towards the (levels of the) 5th dimension. This is a time now where the veil is dropping again between the dimensions. It is a time of the opening up of the pathways between dimensions, specifically from the upper 4th dimensions into the lower 5th dimensions. And…first of all she wants to say to not worry, that this is a natural process that is occurring now for those who are aware and awake. Once the awareness and awakening process begins, there’s really no stopping it. It’s the higher consciousness pathway that opens up in a person…that this will continue as long as we keep our intention to continue with our higher awareness of the raising of our vibration which is basically a letting go of all the old emotions…which the channel is now in the process of really clearing out all of the old emotions, working on forgiveness, working on letting go of relationships that no longer serve her (highest good), working on transmuting all of the old and letting it all fall away with the old 3D earth which is all falling away now. She chose to come here to this outer earth, as you all did, to go through a process of starting in a very dense vibration so that you could then transcend it and raise your frequency, awareness and growth process to move into the higher frequencies, shedding the duality, the dense vibration and moving up in your awareness on your path towards Home, which is your path back to Source Creator, which is where you came from. We of the Telos realm do exist in a higher dimensional realm than what you have been accustomed to on earth, and we want you all to know that you are moving towards being able to interact with all of us here in Inner Earth, and that the time has come now that we can begin to form an alliance with you, and form telepathic communications with you now through channels such as this. There are other known channels of Agarthan beings such as Adama of Telos and there are others, but Adama is a reliable one. And this is a new pathway here that I, Marsana from Telos, am now opening up with this beautiful channel of Goldenlight. I’m very, very, very grateful to be here with you tonight for those who are on the other end of this expression so that we may convey to you that we are aware that all of you are progressing in your ascension, and that all of you wish to continue with your ascension. And that the higher dimensional frequencies and worlds are now opening up to you, especially during this time in the next few days and into this autumn that you have there, this autumn equinox and all the celestial events that are occurring and assisting in the raising of the veils between these dimensional frequencies. We want you to know that we are aware of you and your ascension process as a collective, and that we support you fully in your ascension progress and process. We are excited because there will come a time in the not too distant future when we will have a reunion with the Inner and Outer Earths. 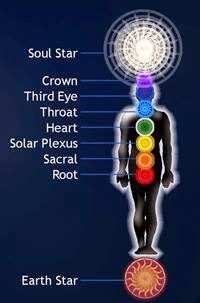 It has not been safe for us to even attempt that up until this point, for the same reason that many of the galactics who are surrounding your Earthen environment have not been able to interact with you… the most important reason being that we would have to lower our vibration too much to enter into your world. There was also no awareness of us. There’s a lot of fear mongering in the media there, so that the interaction between earthen humans in the Inner Earth and earthen humans on the Outer Earth and the Galactics has just not been possible on an open basis up until this point. There is a time that is opening up – and of course we here in the 5th dimensional realm of Telos are also outside of time, just as the galactics in the higher dimensions are outside of time – that you are moving into a frequency where you are beginning to step out of time. You are beginning to sense this timelessness of the higher vibrational frequencies and dimensions. This is what is even allowing you to receive our transmissions and our communications. This is what is allowing this channel to receive this communication. As you continue to raise your frequency, you will continue to – and you are continuing to – step outside of time, to move to a realm that is outside of time. It is a dimensional realm, it’s a “frequency” realm. We would say frequential realm if that’s a word, which it isn’t in your language but this higher dimensional frequency realm is outside of time. So you are now stepping into an area energetically where you will be able to receive more and more telepathic communications from us. All of you are beginning to open up to this now. And most importantly if you do ever try to channel, (this is the channel Goldenlight telling you this now), is to connect into your higher self, to connect in with your guides, Archangel Michael, ask for protection and that only the highest light vibrations will come through. If you do start to receive messages for yourself, it’s an important thing to do to consciously connect in with your Higher Self and Archangel Michael. I connect in with my higher self, my Council of Angels, and now my multidimensional Self before I begin any sort of channeling. I also connect in individually with all the archangels who have introduced themselves to me individually (I believe they are all a part of my Council of Angels) – Archangel Michael, Gabriel, Raphael, Chamuel, and now Zadkiel who is beginning to introduce himself (herself) to me. He is on the violet ray. So that’s just a sidenote from the Channel and we can continue now with this message from Marsana. (Marsana continues): We are really beginning to tune into where you are all at now and this is just a general broadcast message to say hello, to offer our greetings, and to let you know that we love you and support you. There is a lot of love in the higher dimensional realms, so…it circulates around a lot and that’s a good thing. So, just a short message for today and we want you to know that we are aware of your ascension progress and we support you all fully in your ascension. There will come a time when we can communicate…it will begin with brief telepathic communications. Some of you who are visual thinkers, such as this channel, may see visual images of us or of our city of Telos, which is a beautiful higher dimensional Crystal City of Light. As you continue to ascend into the 5th dimensional levels, you will be able to visit this beautiful city of light. 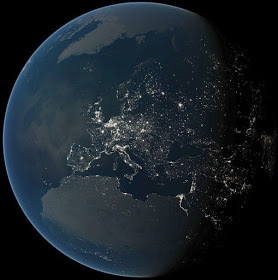 This is the city of light that exists on the Inner Earth, just as you now have your Cities of Light that will be appearing on the Outer Earth. And you also have the rising of the better part of the Atlantean consciousness, the higher dimensional codes that are of a positive nature from the Atlantean and Lemurian times are now coming back into existence. Part of their energy will be manifesting into the Cities of Light. The first City of Light will be appearing in Sedona which has been written about by Genii Townsend – more info here: http://sedonacityoflight.wordpress.com. So these Atlantean energies, higher dimensional energies, using mostly crystals for energy and power will begin to be used again as your higher dimensional worlds continue to come into being. This is all an energetic realm and transition that we speak of. It is simply the raising of your individual frequencies and vibrations that brings you into tune with these realms. As an example, when the channel sleeps she goes to the next higher level up which is now the 5th dimension and she visits often with her relatives who have passed on who are in that higher realm. She’s been doing this since she was a small child. This is an example of a human being who can transition energetically to the higher dimensions. This is something that she and you all will be doing in a conscious awareness state as you continue to progress. And the progression is reaching a bit of a crescendo now, we see….and that’s a really positive development. This recent message that came in with Archangel Michael was an indication of this. There is now occurring a movement, of many who are on the ascension path of higher frequency awareness, into the higher realms. You are inching closer and closer each day. We just wanted to say hello and introduce ourselves and myself as a representative from this realm. My name is Marsana, and it’s really wonderful to be able to speak to you through this channel. Thank you for the use of your talents. We will leave you for now and hopefully we will be able to have another message and transmission. We take our leave now and send you our love and light. Telos is one of the many holy cities in the Agartha Network. Telos is located directly beneath Mt. Shasta, California. The leader and High Priest of Telos is the great Avatar Lord Adama. The United States government has known about Agartha and Telos for a very long time. In the 1950’s the U.S. military attempted to enter Telos by force and capture it, but instead, they encountered mighty powers far beyond their comprehension, fled in fear, and have never returned! High Priest of ancient Lemuria. High Priest of Telos. Ageless and deathless Avatar of the Hyperborean root race who has witnessed the rise and fall of six enlightened Ages on Earth! A being of incredible power and grace. You may call upon Lord Adama for help, guidance, protection, and training, and he will surely do everything within his power, control, and jurisdiction to help you.